An opal and diamond set pendant in 18ct white gold. 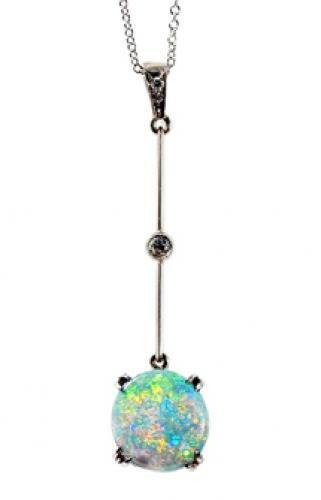 The opal is 1.98cts and the drop pendant is 4cm in length. Total length of pendant and chain is 23cm.